Playing with bean bags is a winning way to help children develop their motor skills and gain confidence while they learn and have fun. 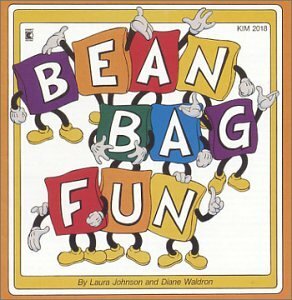 Your children will ask for Bean Bag Fun again and again because it offers terrific games and activities they they will really enjoy. Here are just some of the valuable benefits: increased balance, enhanced directionality and right/left discrimination, body identification, increased listening skills and improved team work. The guide provides lyrics and verbal instructions. Kids will be happy if you make Bean Bag Fun a part of their daily fitness program.